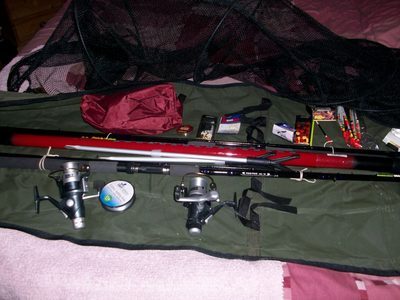 Complete Coarse fishing starter set - never used. 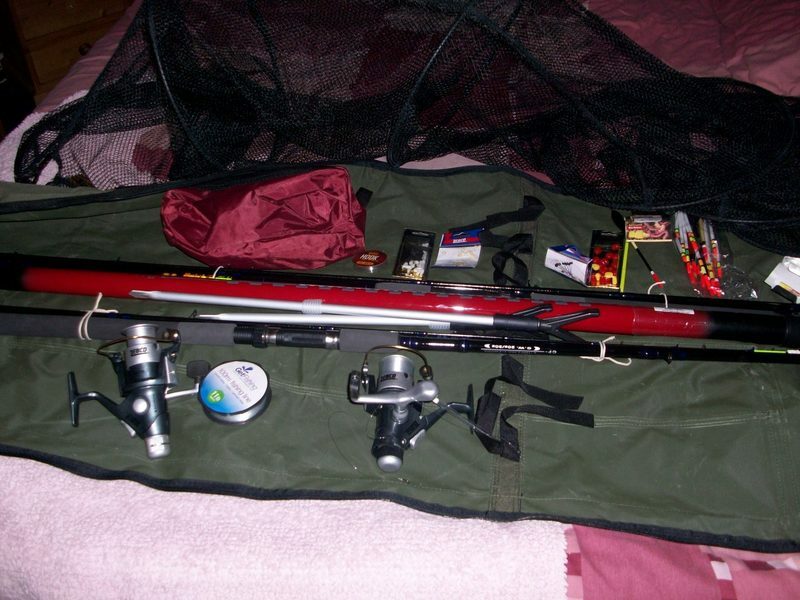 Includes carbon pole rod, combo match rod, combo feeder rod. Also plenty of accessories including 2.4m tele landing net, bait boxes, 1.75m holdall, 2 tele rod holders, double reel case, floaters, disgorger, float ring assortment, barbless hooks, rubber stoppers, artificial sweetcorn, artificial maggots, hook line monofilament, worm chopper. £85 ono 07794671593 collect only from Rochester Never been used - unwanted present for my husband from me! !